We offer a range of services including SEC reserves estimates and pre-audit reporting assistance. We offer advisory on liquidity strategies and investment banking options. We offer certified reserves estimates. We offer engineering services from project evaluation to drilling and completions. We employ deterministic methods to estimate reserves for most evaluations and also utilize stochastic methods to determine probabilistic estimates of reserves for many exploration studies, early field development projects, and large field developments. Inspire Energy Services provides economic studies and related services within the petroleum industry. These services include analysis for both personal and company interests. 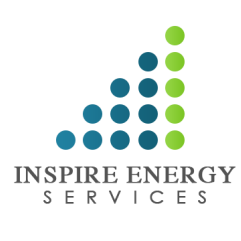 Inspire Energy Services understands the complexities of the oil and gas industry and the work load required to properly account for your business. We have a wide array of accountants which are PCAOB certified that guide us in preparing for your audit. The Inspire Energy Services team can take a project from pre-spud planning through completion and production, including location construction and facility installation.